This was actually my first foray into the land of indie authors and the current trend of dystopian fantasy on my Kindle reader. Susan Ee did not disappoint–the book was fast-paced, action-packed but also with humanity and emotion. There was enough romance to keep things interesting without getting mushy, plenty of bloodshed for the End of Times, and even angelic politics. I’m a big fan of the show Supernatural, and there were elements in this book which reminded me of that show. The tongue-in-cheek humor of Penryn, the main character, was one of these elements. I really liked her as a character. This voice is one of the main things that carries the story along. Susan has done an excellent job setting up the conflicts in the story–the main character has lost her little sister in the middle of a horrific war between angels and humanity. 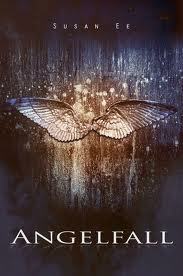 She rescues an angel attacked by his own with the main intention of using him to find her sister. Of course from there, things go to hell. Almost literally. Penryn’s matter-of-fact survival attitude carries her through some rather horrific scenes, including what appears to be cannibalism and bizarre medical experiments. Throughout the book, she struggles to decide whether or not to trust her angelic companion. The ending was satisfying for the most part, but I suspect I see a sequel coming. The writing style was smooth and professional and easily allowed me to sink into the story. There’s a bit of blood and gore and scary parts so I probably wouldn’t recommend it for young adults under thirteen, but beyond that, it has a broad appeal. The romantic elements probably will be better appreciated by women, but there’s enough action for the male reader as well. Overall, I found this an engaging and enjoyable read. 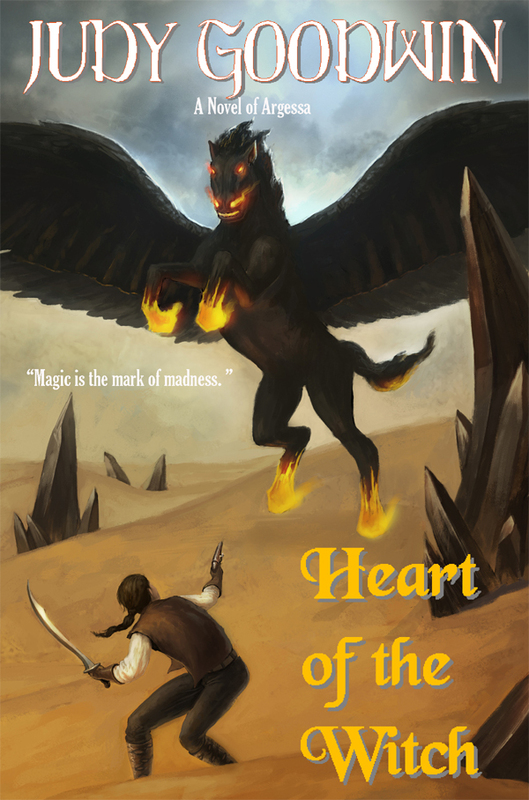 Here is Version 1.0 of the ebook cover for my upcoming release, “Heart of the Witch.” I’m pleased with the image–the illustration was done by Lucas Padofelli who I met through deviantart.com. Lettering design was done by myself. We decided that the climatic scene would make a good cover, with the hero battling the Ravenger, a demon horse sent by the evil god,Angist. 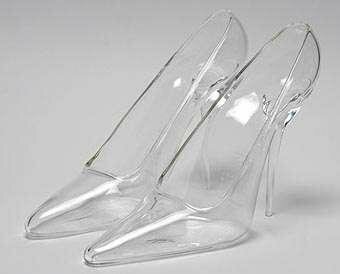 Comments are welcome! I’ll post the print version later, probably after the ebook release in November. I’m wavering between having the release either November 1st or November 15th. I’m brushing up on my graphic design skills and Photoshop abilities, as I’ve just received the hi-res illustration for my novel. YAY!!! I’ll have the ebook cover up here in a few days after I’ve tinkered with it a bit. The full print version I won’t be able to finalize until I’m sure about the width of the spine. I’ve discovered how to find new fonts, ways to play with fonts in Publisher, and how to manipulate them like images to work with the background in Photoshop. I’m on a tight budget, so basically I’m doing all the layout, though I did hire an artist for the actual illustration. It looks really cool. In working on the cover, of course I also had to consider the back of the print version, with the all important “blurb.” I’ve been listening to other writers talking about using active language, I’ve read and typed out blurbs from other fantasy novels on my bookshelf, and hopefully what I’ve come up with will be enough to draw in readers. I swear, the writing part of being a writer is the easy part. It’s the marketing that I find challenging. Zerrick Dhur holds a dangerous secret. As the Pastor’s son, it is his duty to uphold Iahmel’s ways, the ways of the church. But he practices magic, feels it singing to him through the jungle outside the colonial town walls. As witch burning fever strikes his home town, Zerrick must decide whether to stay true to his father’s words, or follow the calling of his heart. In his journey, darkness and madness threatens. An untrained witch can lose his or her grip on reality. He meets several other lost souls in his search to tame the wild magic. A young woman with visions. An old native scout. A hidden city of magic users. As he draws nearer and nearer to the truth, he fears he will also have to face his greatest nightmare, the Ravenger, a demon of unspeakable power. In the end, Zerrick must decide whether witchcraft will lead him to goodness . . . or to evil. So my purchase of a Kindle began earlier this year with me finally giving in to the electronic age. I had been staring at my overflowing bookshelves and thinking that I really needed to trim things down. My partner suggested that I replace physical versions with electronic versions of my favorite novels. A funny thing happened then. With an Amazon gift card of $100 burning in my electronic account, I set off to buy some books, only to start thinking about series I’d started years back but never finished. One of these series was Piers Anthony’s Incarnations series. I had left off reading “With a Tangled Skein” and became bored, way back in the 1990’s. So now in 2012, I decided to pick up where I’d left off. I’m not sure if this is true for everyone, but it seems as if reading on a Kindle, a writer’s style becomes so much clearer–perhaps because the ebook format usually requires taking away a lot of the fancy fonts and design elements of a print book. 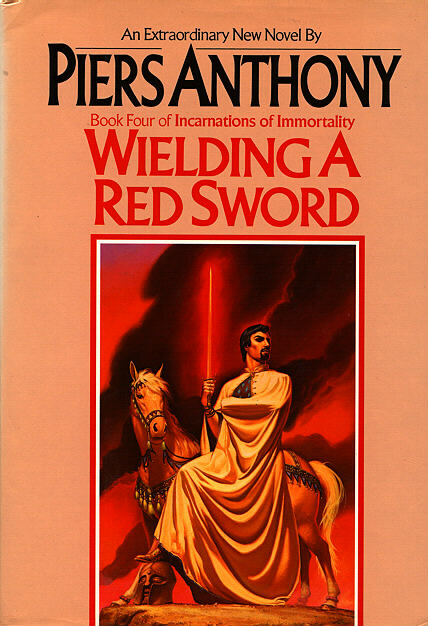 Piers Anthony has a very simplistic style. There was almost a lyrical quality in that the world of the Incarnations is somewhat our world but not quite, because various cultures accept that magic is real. I struggled through parts of it but found the ending satisfying. I like that Mars was of Indian descent and struggled to find himself in the narrowly constructed Orthodox ethos. He kept trying to break free, and with help from Oriental wisdom, actually managed to do this by the end. Almost as interesting as the book was the long Author’s Note at the end. This was written in about 1985 or so, and it details the laborious transition from manual typewriter to computer with a Dvorak keyboard (something I’d never even heard of.). I laughed at the comparisons of operation system–MS DOS! But it just hit home how much things have changed, and not in that long a time span. He complained of how difficult it was to set up macros and the danger of power outages and power surges and having a $10,000 computer system. I don’t know the exact comparison, but that was a LOT of money back then. I remember when “The Price is Right” used to make a big deal whenever a car price was five digits rather than four. And how nice is it that words can remain (hopefully) indefinitely in electronic form? As I struggle with my own computer skills in translating the written word (and yes, the first incarnation of my first novel was written in black pen on a five subject college-lined notebook) to the ebook form, I feel some kind of connection with this celebrated writer. Viva la change, I suppose! Three things to mention today. First, I am SO EXCITED to see what Dean Wesley Smith has been talking about on his blog here: I’ve Created a Monster . On his blog, he has pictures of short stories published in print form via CreateSpace. They look phenomenal. It suddenly makes me want to revamp my own short stories to put into print form. I had already planned to do some anthologies of about five stories or so each, but now that I see how a 7000 word short story can look in printed form, it makes me wonder if I should do that for all my short stories. Meanwhile with my novel, Heart of the Witch, I’ve been having beta readers help me fine tune the language and the illustrator continues to develop the cover. I estimate that by September I’ll be in full swing to work the formatting of the entire thing, first in ebook form, and then in print. I still get to figure out how to order ARC’s and promote the book to get some blurbs, etc. The marketing side in particular is going to be a steep learning curve for me. And last, for those who have read my most popular short story, “A Troll Under Golden Gate Bridge”, I am now working on a sequel, entitled “Fairies at Fisherman’s Wharf.” I actually am now planning to do a long running series with Cathy Pembroke, Fae Enforcement Specialist. My name is Cathy Pembroke. I live in Oakland, California, and I hunt monsters from Fae. About six months back, I had to fight a troll who had taken over the Golden Gate Bridge, and afterwards, it took me nearly a week to find my trusty sword along the shoreline, and then an additional two weeks for me to clean the rust from it. The city of San Francisco was safe, however, and my partner Robert Tucker and I managed to earn an award or two from the mayor of San Francisco and the governor of California. Cathy Pembroke, slayer of trolls. Who would have thought it? Our division was starting to wind down a little from the initial flurry of activity when the gates to Faerie opened up. Sure, there was still the occasional mermaid sighting in the Bay or goblins trying to knock up the local Seven Eleven, but at least there hadn’t been any dragons or other large destructive creatures plaguing the city recently. I’d almost started to relax. Can I take a break from Vampires? Today I started reading a short story from a writer’s group I belong to, and just as I started becoming interested in the plot, up he popped. A vampire. In the story. I wanted to turn off my computer right away. Now I have to preface this with something. I like vampires. Heck, it used to be that you couldn’t keep me away from a vampire book or movie. Starting with the hilarious Love At First Bite, I would head out to see any vampire flick I could find. Clive Barker. Anne Rice. Bram Stoker. 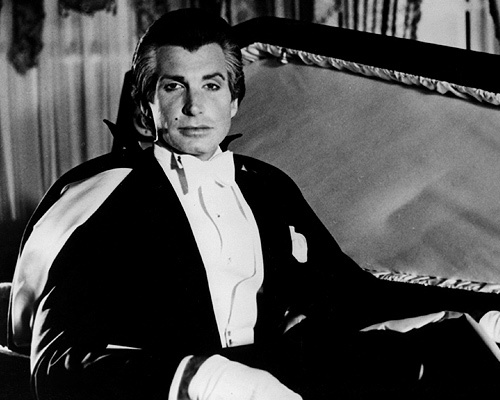 Not to mention the fun movies from the 80’s like Salem’s Lot, The Hunger, and Lost Boys. But I think I may have reached critical mass. I’m not sure exactly what did it–it might have been watching the third Twilight movie (or reading the series), or it might have been shows like True Blood ,The Vampire Diaries or My Babysitter’s a Vampire.Or maybe it’s just that it seems like every single new YA novel out there (particularly indie) features vampires and werewolves. But I’ve just come to this point now where I’m sick of them. And it’s not that the stories are good, bad, or anything. Like I said, I always liked vampires. But sometimes in the middle of a fad, I think people just get fed up of having too much of something. It’s like dining on nothing but steak. Sooner or later, you crave a change. I just have to wonder, however, why it seems the supernatural is SO popular these days, particularly in YA fiction. Do our young people crave more risk and danger in their lives? I know my pre-teen is overprotected, and in fact I’m trying to step back, give her more independence. But it just makes me wonder. Maybe we’re so removed from reality that we crave that violent, bloody hunger that vampires so embody? I’ll leave the pondering for now. And I’ll avoid vampires in the media like they avoid sunlight, until my aversion fades away. This is a reprinting of this poem which was originally published in Dreams and Nightmares magazine. This poem was also nominated for the Rhysling Award in 1998. Before the birds pecked out my eyes. She loved me, I know she did. That wretched girl so bitterly?